Hey you guys! How are you all doing?? Ready for a new week?! 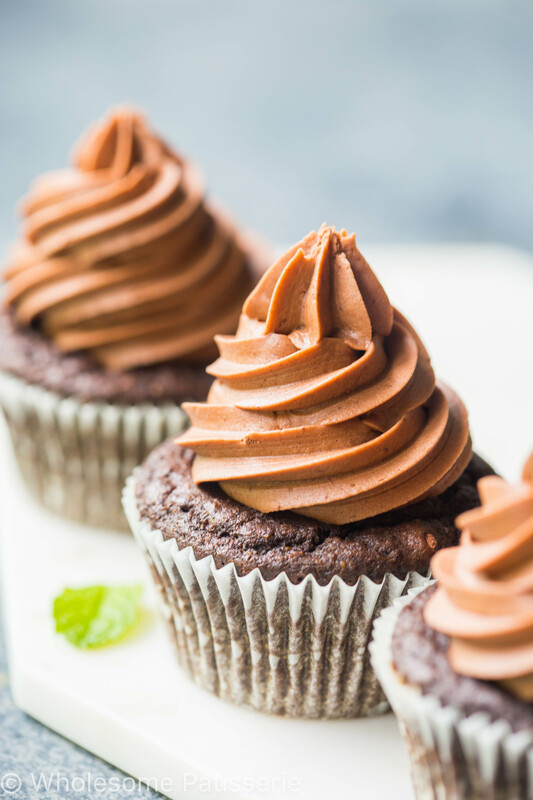 I’ll get your week started off just right with these delectable and delicious Mint Chocolate Cupcakes! Now, who doesn’t love mint? Paired with chocolate? Oh hello!! It’s an all time favourite of mine and my Mum’s favourite flavour combination ever!! Cupcake + mint + chocolate = heaven on earth! If I do say so myself. This recipe of course is my go-to gluten free chocolate cake recipe because what else does a girl use when she has her trustworthy cake recipe that never fails? Don’t fix it if it ain’t broke! Paired with the most ultimate and most indulgent mint chocolate frosting, need I say more? This is the first frosting recipe where I have added thickened cream and let me be honest. No, I cannot recall a recent time where I have added cream to my frosting, lol. I always see frosting recipe use cream and today I thought what the heck! I had some cream leftover in the fridge so I took the plunge to see what all the fuss was about. Yep… it works. The cream makes the frosting light, whipped, fluffy and velvety, just like when you whip cream! 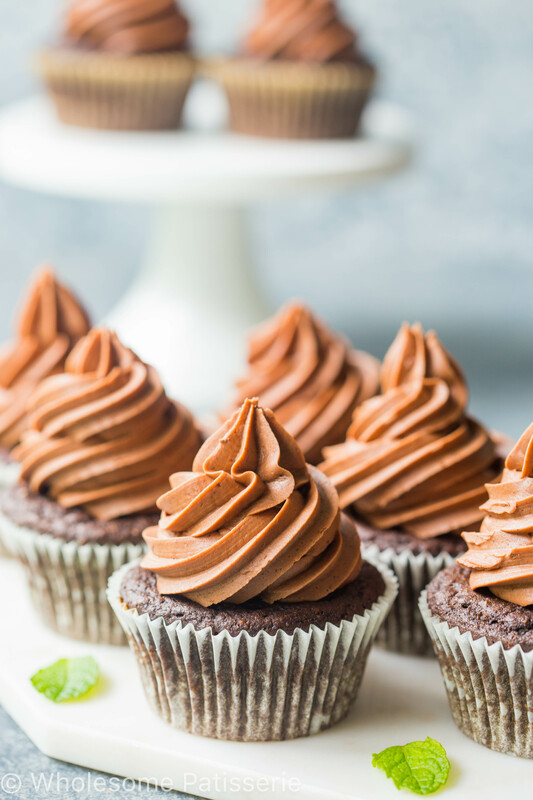 Now these mint chocolate cupcakes aren’t rocket science, so you should have a batch whipped up in less than half a day, hey! greatness does take a little time and effort. Yum yum in my tummy tum sum! 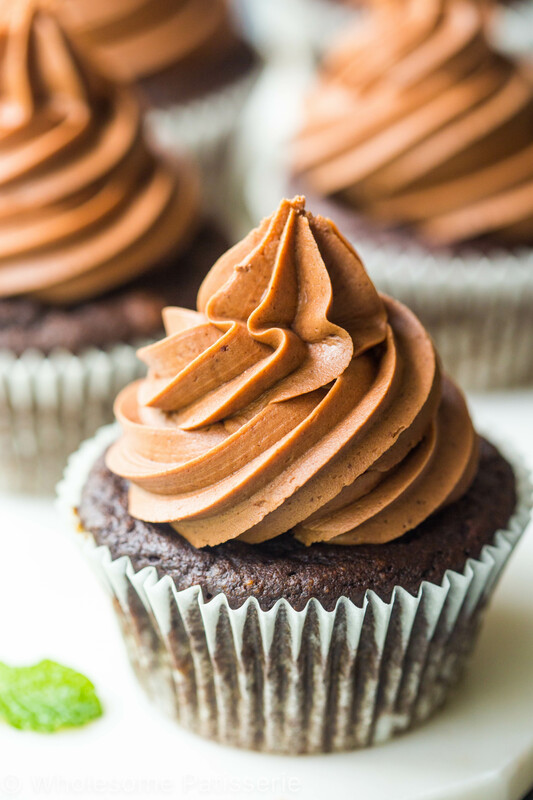 Mint chocolate cupcakes are a classic, do you agree? The flavour of mint and chocolate together just scream dessert, sweets and EAT ME NOW! The deliciousness is real, the decadence is real and the indulgence is real. Go on, get into that kitchen of yours and whip up a batch, you know you want too! The ultimate indulgence, Mint Chocolate Cupcakes! Best. Flavour. Combo. Ever. Don’t you agree? Gradually add the flour mixture into the milk mixture, mix until well combined, smooth. Spoon batter into cupcake liners, filling them nearly to the top. Bake for 15-20 minutes or until a toothpick inserted into the middle comes out clean. Remove cupcakes from pan and let completely cool on a wire rack. In a double boiler over low-medium heat, melt dark chocolate. Begin frosting whilst chocolate melts, occasionally stirring. In the bowl of a stand mixer add butter. Using the whisk attachment, whisk the butter for 30 seconds or until just soft. If chocolate is done, turn off heat. Add 1 tablespoon of almond milk after each addition of icing sugar until mixture is smooth and comes together. Add melted dark chocolate and cream, beat mixture for a further 1-2 minutes or until light and fluffy. Add more icing sugar or almond milk until desired consistency. Frosting should be smooth, easy to pipe and holds it’s shape. 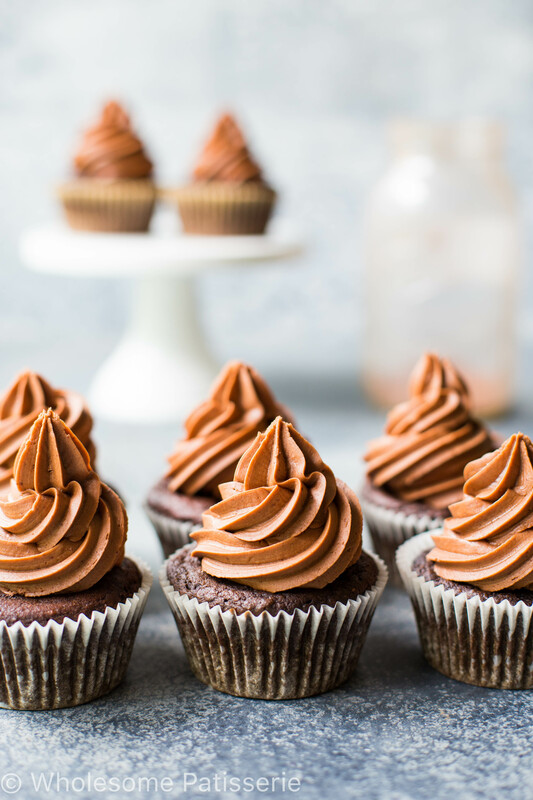 Store cupcakes in an airtight container, in the pantry or refrigerated, for 4 days - 1 week. *Use my gluten free all purpose flour recipe. Alternate between the almond milk and cream until you reach your desired frosting texture. Easy to pipe, smooth but not too sloppy. You can add more or less icing sugar to help the consistency along.